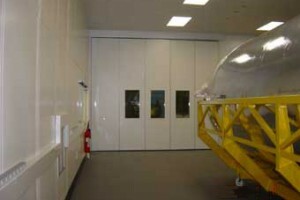 Heavy Duty Single Skin industrial partitioning is one of our specialities, we have designed and installed many heavy duty steel partitions over the years. 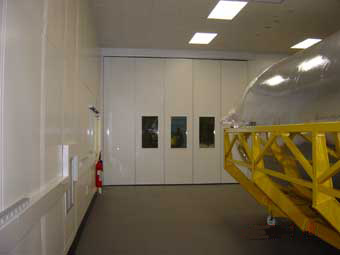 Heavy Duty Partitioning Panels use welded angle frames instead of folded angle or cleated H frames to provide additional linear and vertical stability in heavy duty industrial applications. 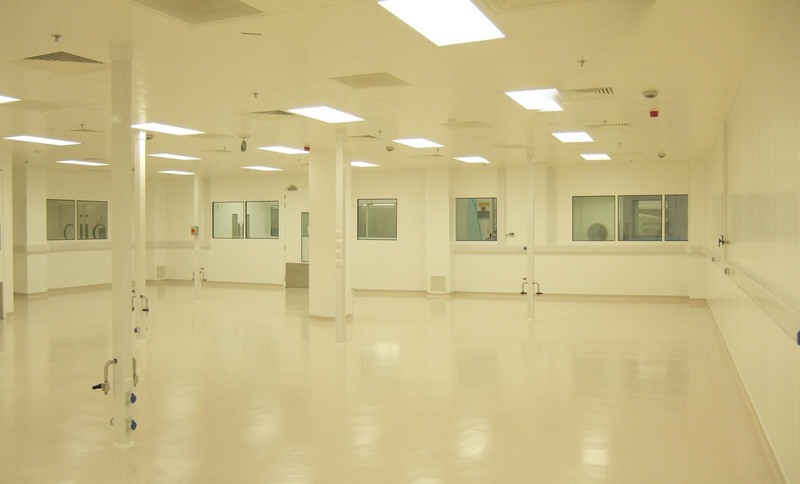 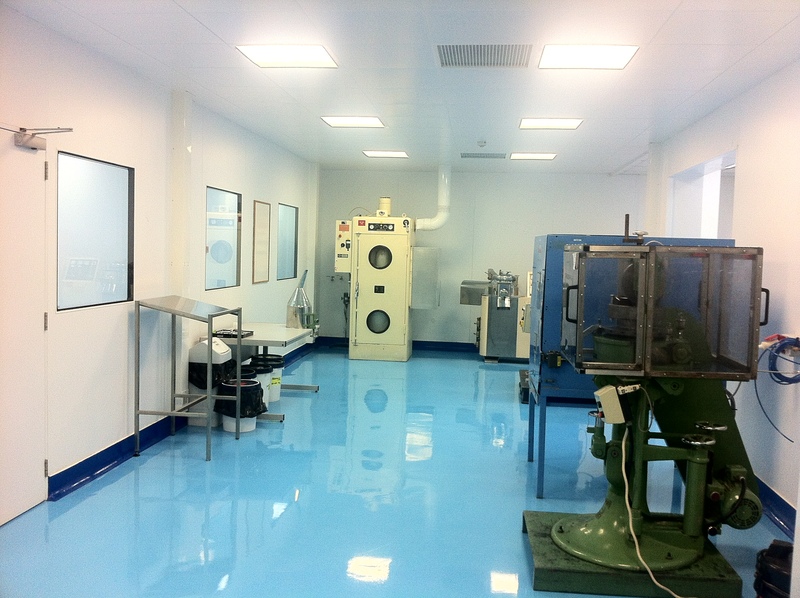 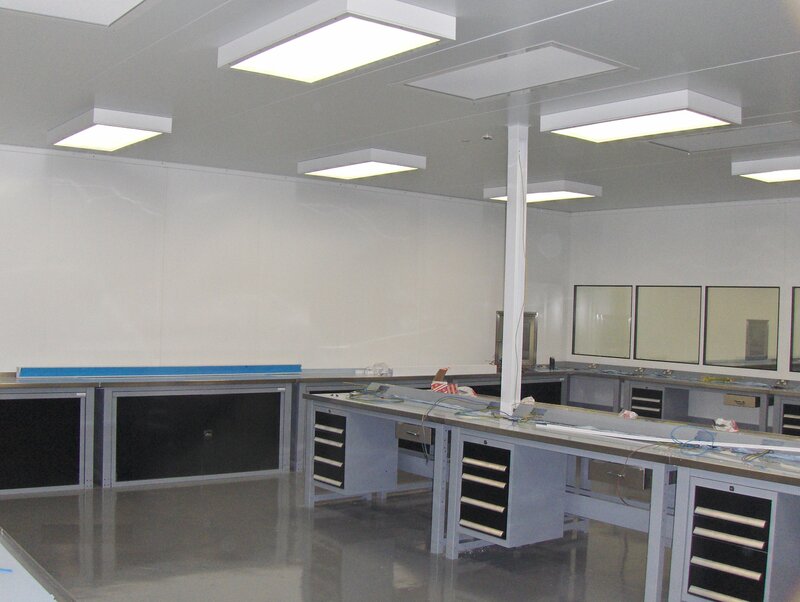 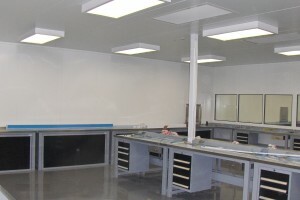 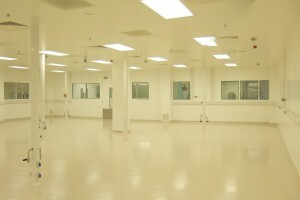 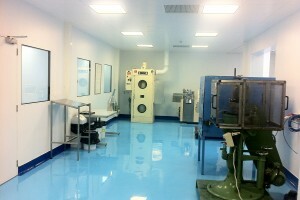 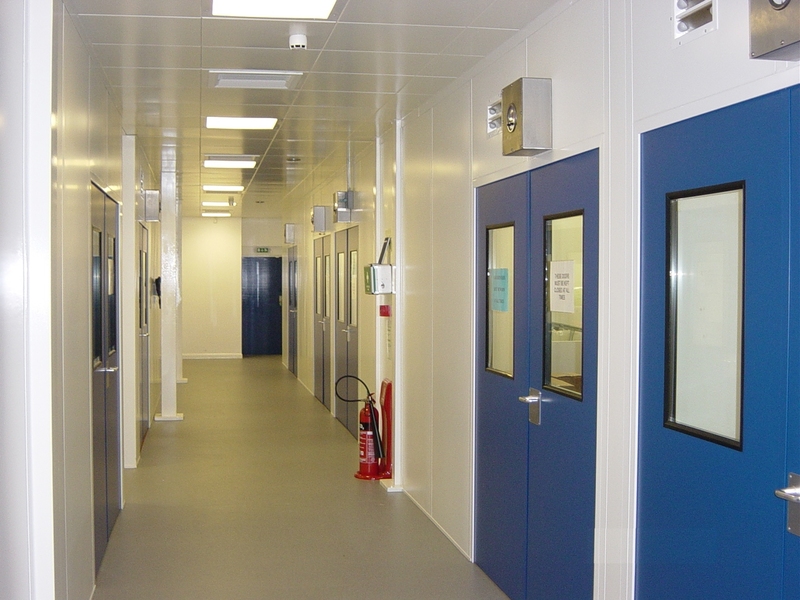 The Partition panels are bolted directly together and to the floor through the welded angle frames and a top cap is usually fixed over the top of all the panels to keep the partitioning runs straight and true. 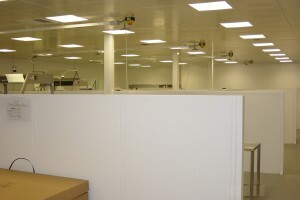 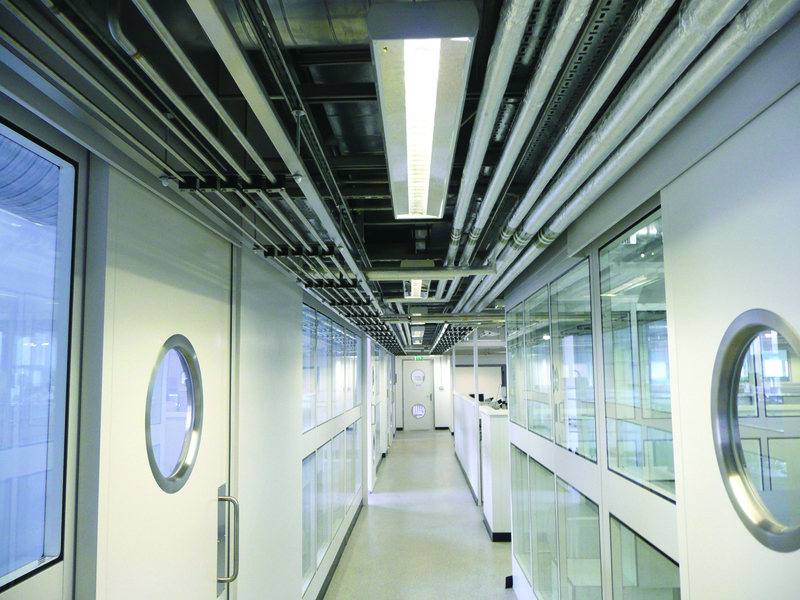 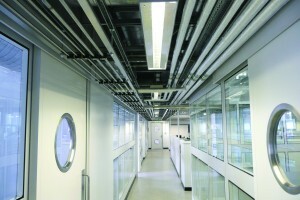 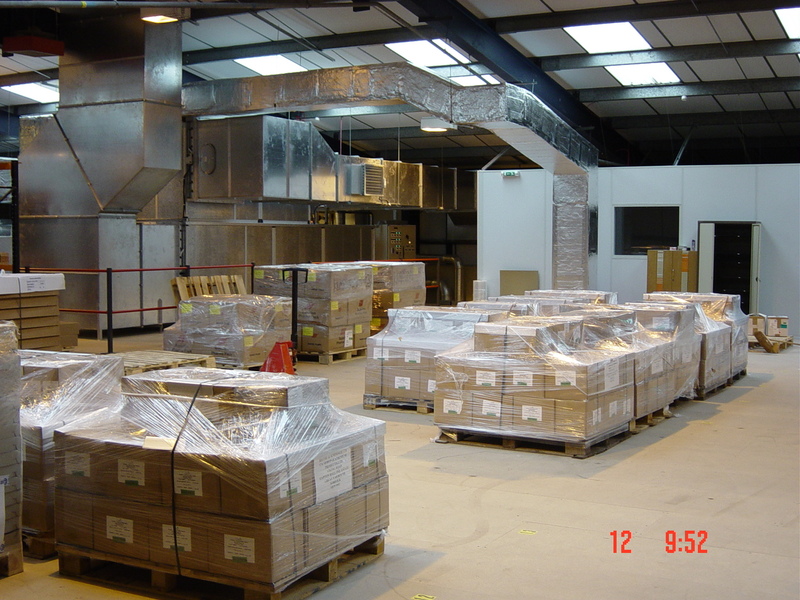 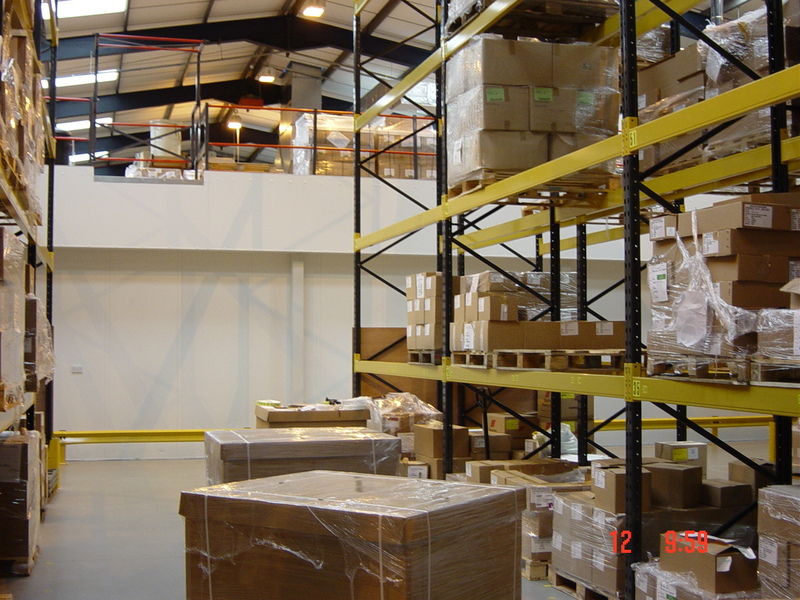 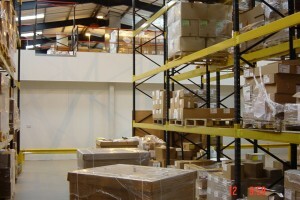 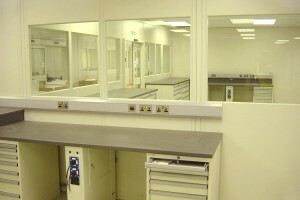 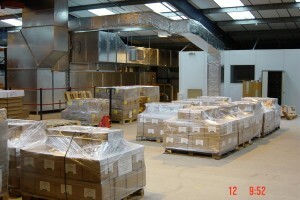 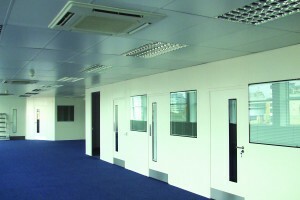 If extra support or stability is required vertical steel mullions can be used every 4 or 5 panels, which are also used when partitions are being stacked on top of each other to form higher partitioning runs, particularly when used around mezzanine floors perimeters or if suspended ceilings are to be fixed in the room you have just created. 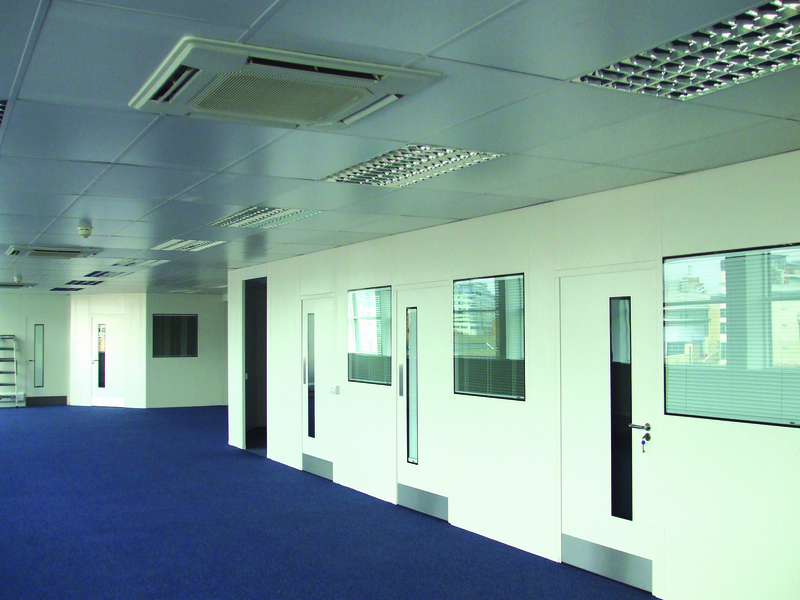 Because all our heavy duty steel partitioning systems use modular, demountable steel panels they are extremely cost effective to install, they can be dismantled, relocated or reused many times without the need for replacements and are ideal for use in a variety of industrial applications within warehouses or factories or even outside when galvanised. 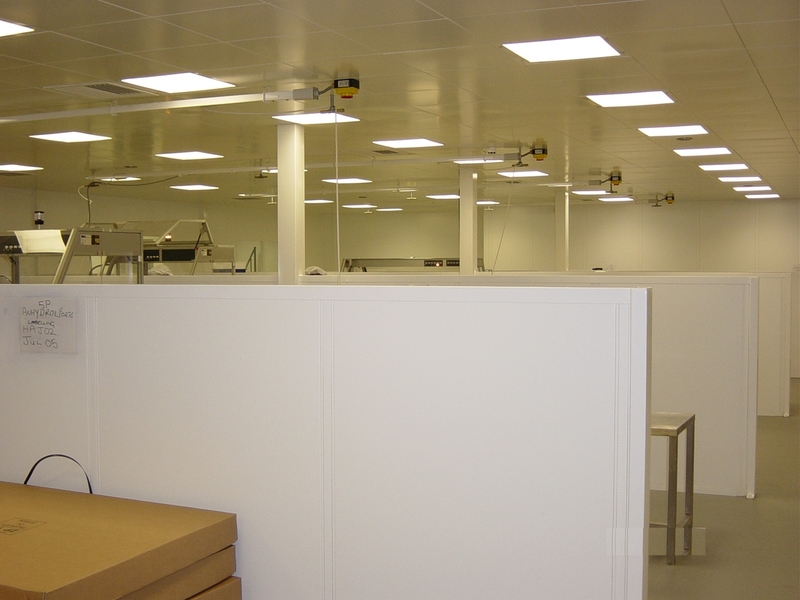 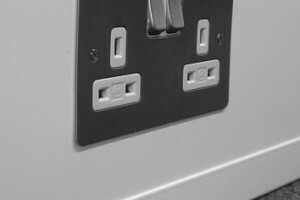 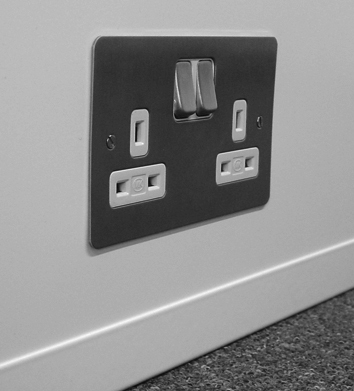 One customer even keep their own stock of spare panels to enable them to adapt their partitioned enclosures / work areas as their customers requirements change. 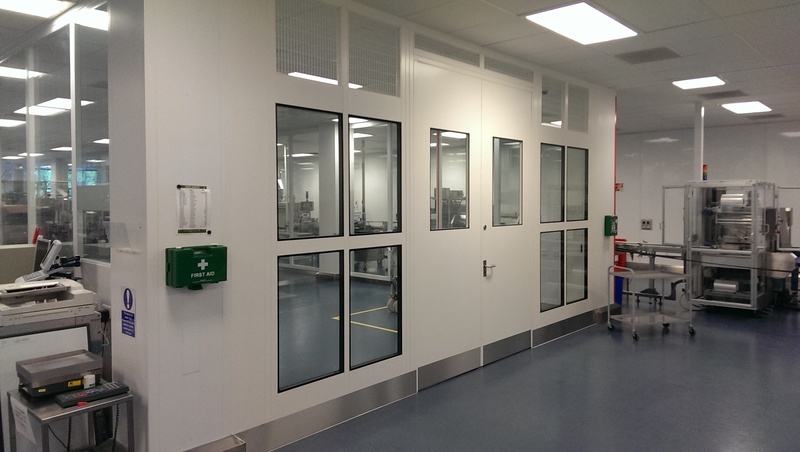 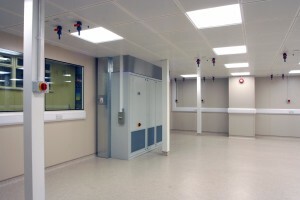 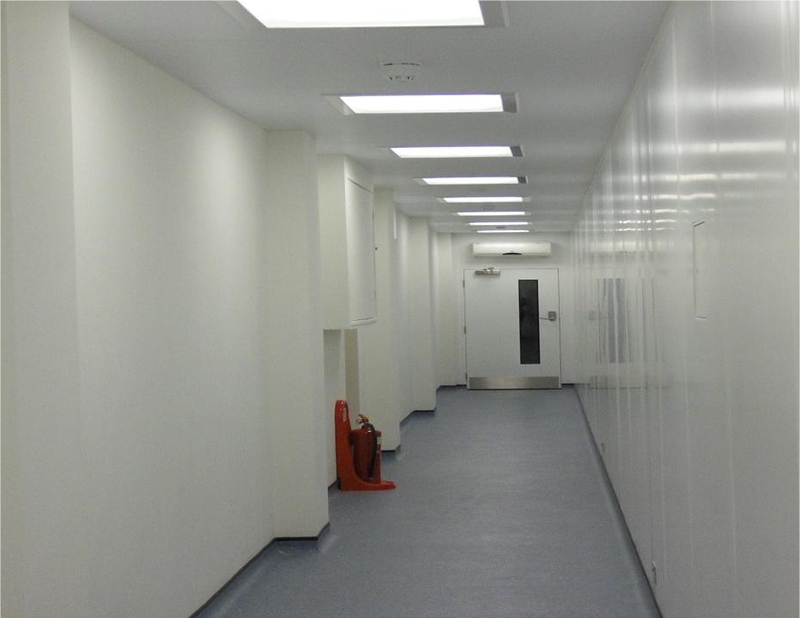 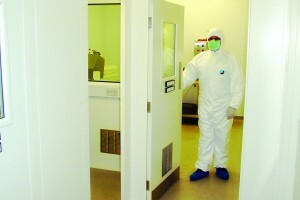 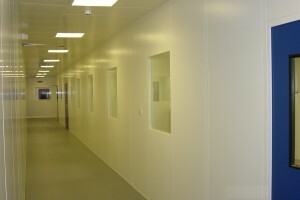 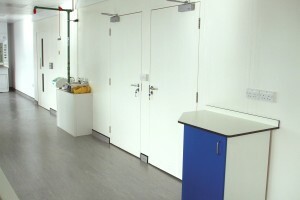 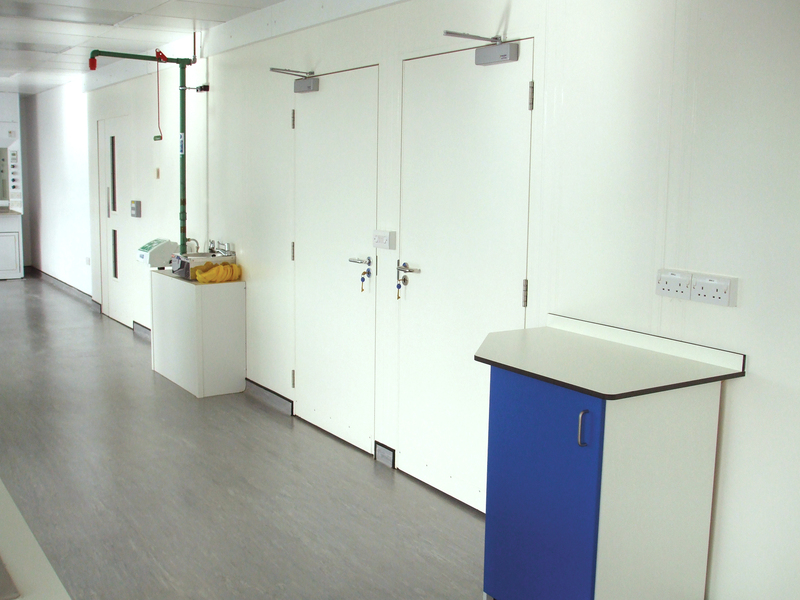 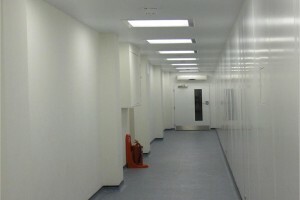 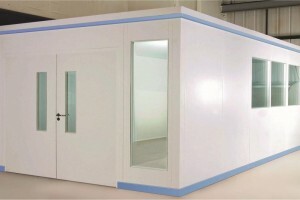 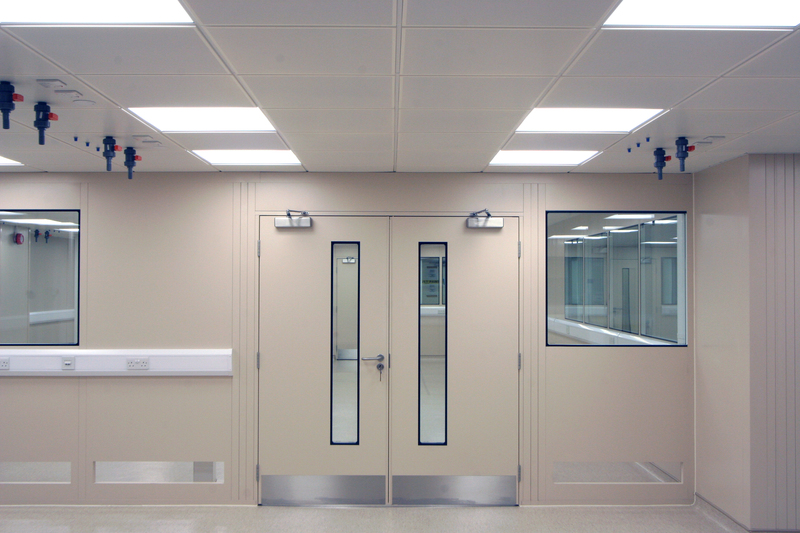 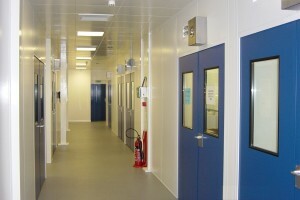 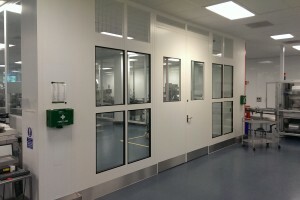 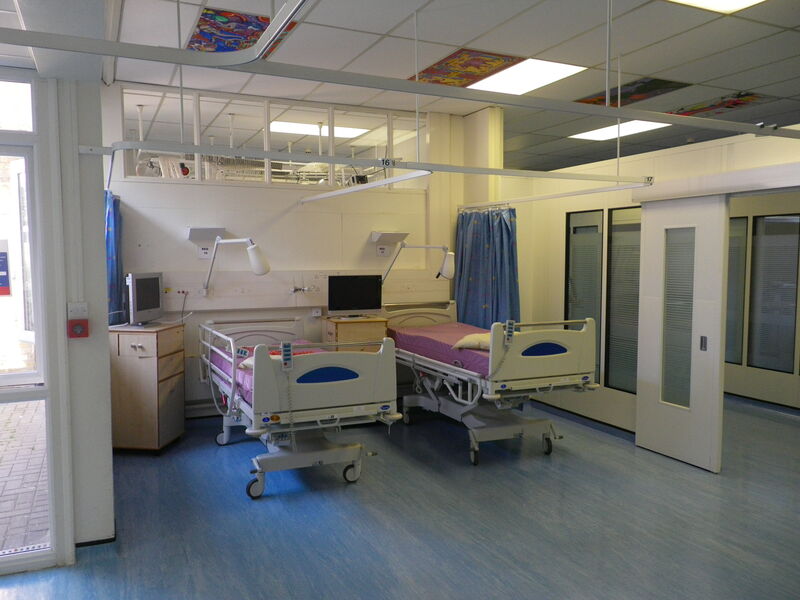 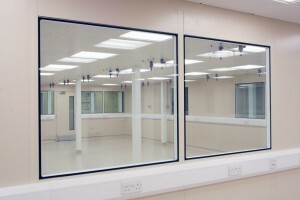 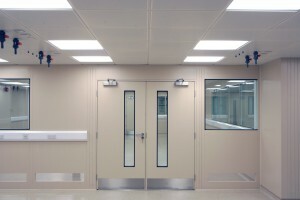 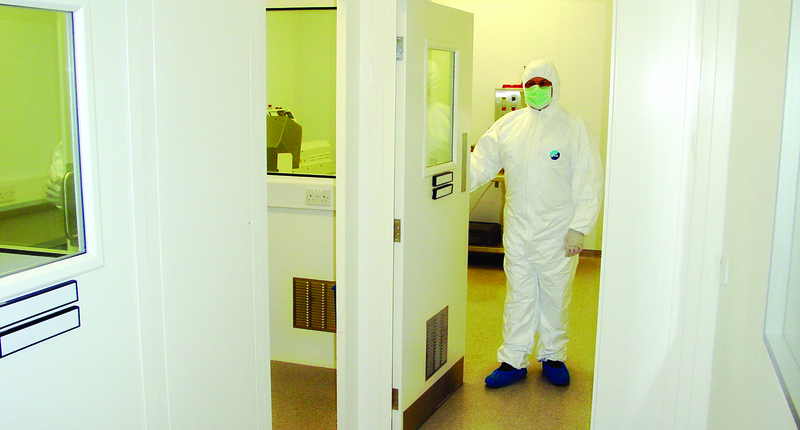 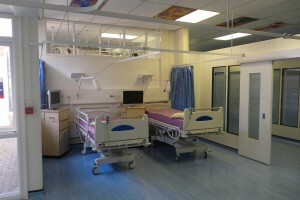 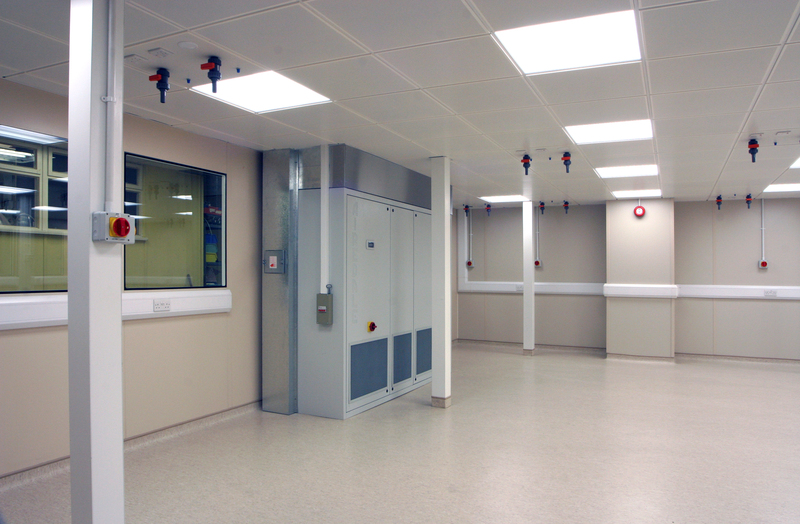 The single skin partition panels are also ideal for creating secure enclosures of working areas where external appearance is important but without the extra cost of a double skin partitioning system. 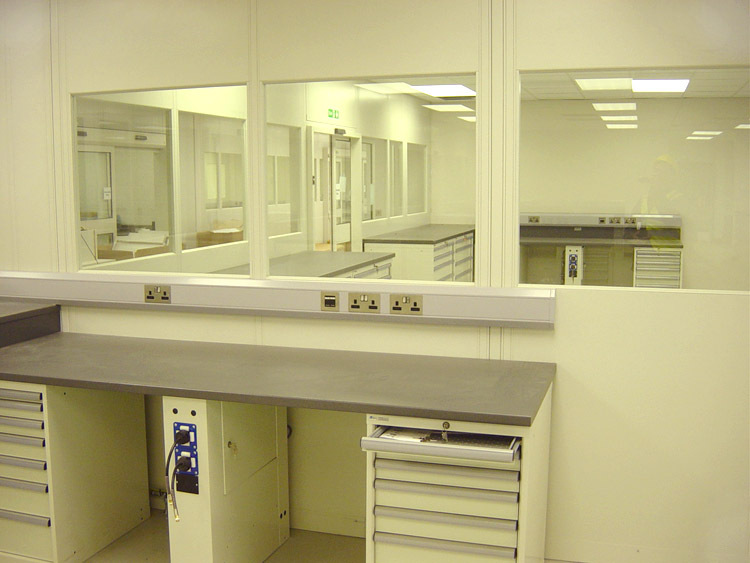 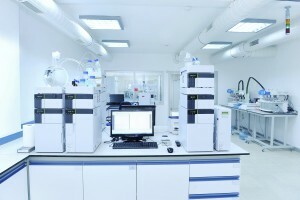 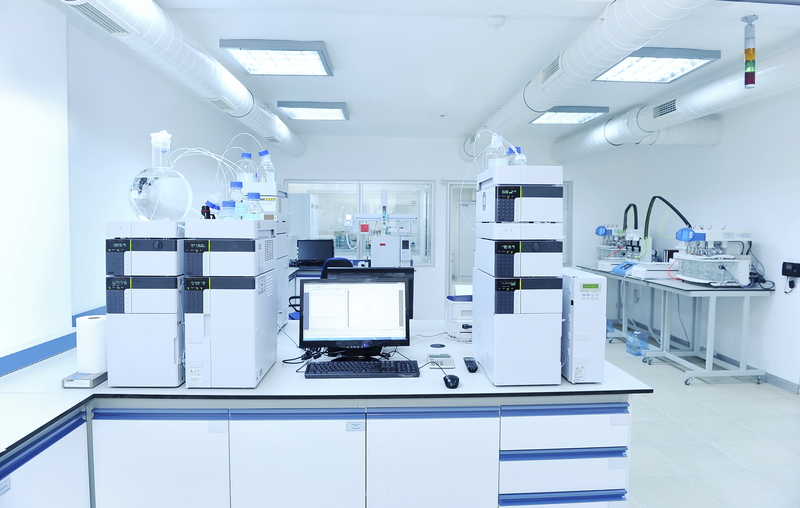 Other applications have included perimeter guarding to automated machinery, robots, conveyors, and for other automated processes. 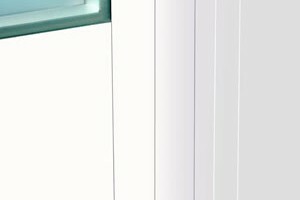 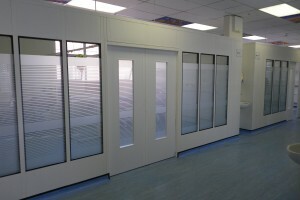 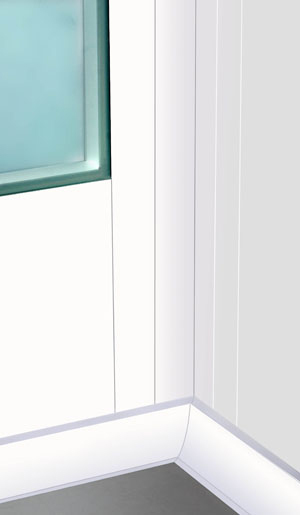 Mesh panels or Part Glazed panels are also available, as are drop hatch panels for stores and standard hinged single doors or double doors and even sliding doors. 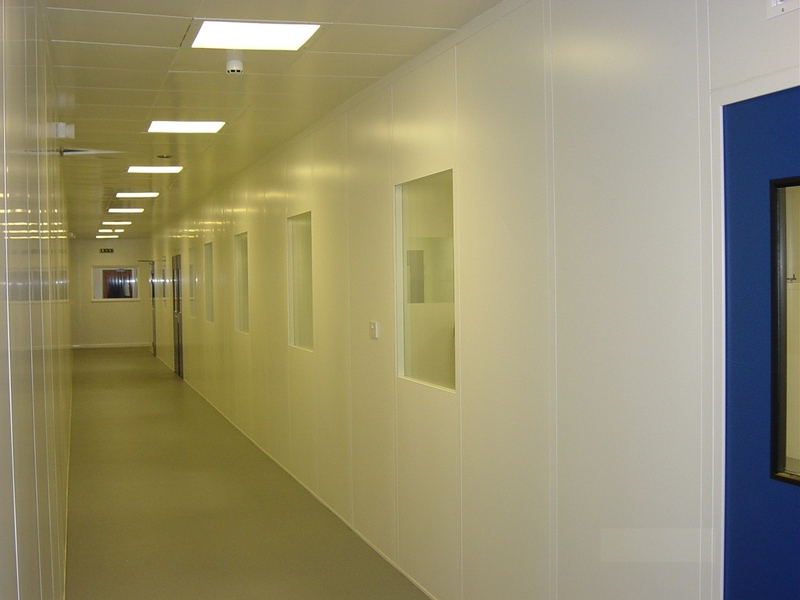 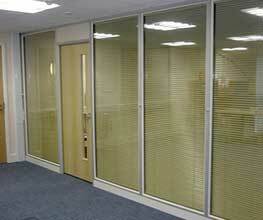 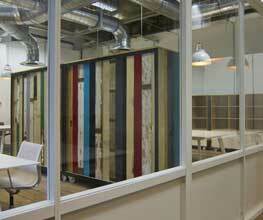 Standard panel widths are 300mm - 400mm - 500mm - 600mm - 700mm - 800mm - 900mm - 1m - 1.2m x 2.44m - 2.745m - 3.05m high. 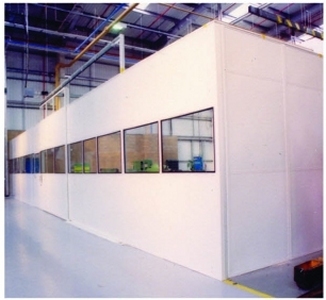 Filler panels and special sizes are available on request and the panels can be stacked on top of each other for full height compartmentalisation. 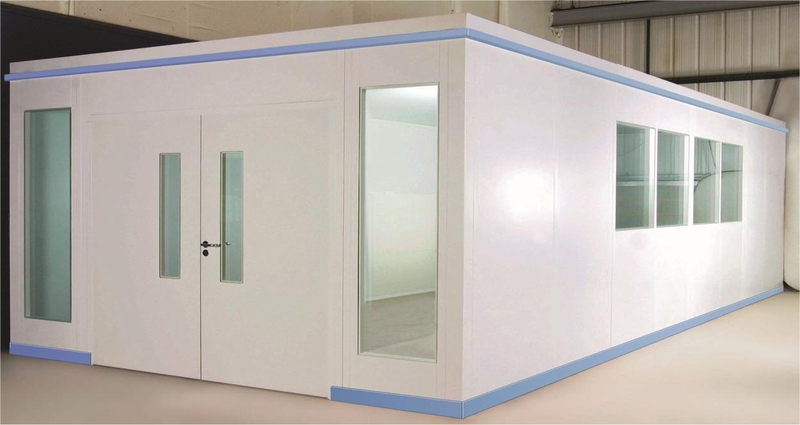 In a multi-tiered application, it can be used as factory or warehouse divider for reasons such as security, dustproofing, privacy or environment control. 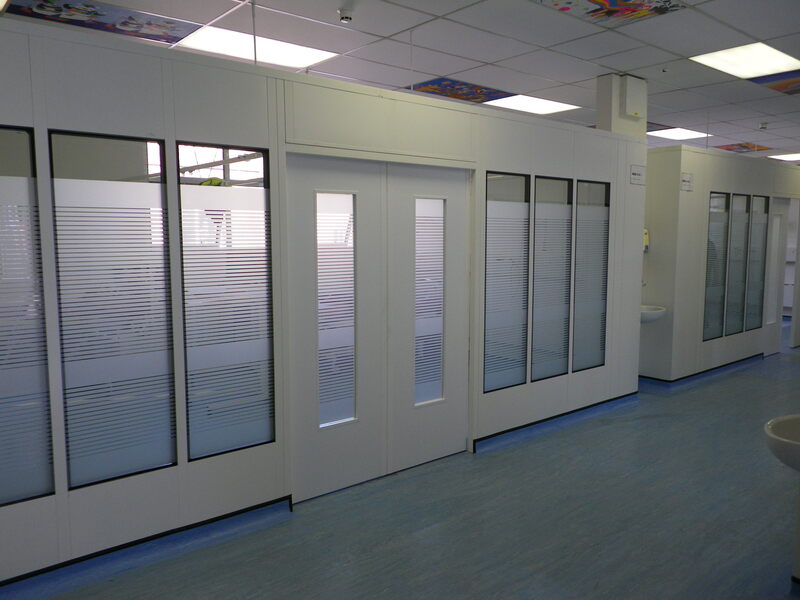 Heavy duty steel partitioning panels are supplied powder coated in a choice of Grey RAL7037 or BS00A05 - Sandstone BS08B17 - White RAL9010 as standard, however other colours are available at additional cost.